We were strolling along Main Street in Ramona and came upon a lovely little gift and book shop. Once inside, the time flew by! Beautiful, unique offerings — jewelry, books, spiritual gifts, crystals and quartz, incense, fairies, and so much more. What a delight. We learned she likes to focus on local businesses, authors, and service providers as a way to give back to the community. 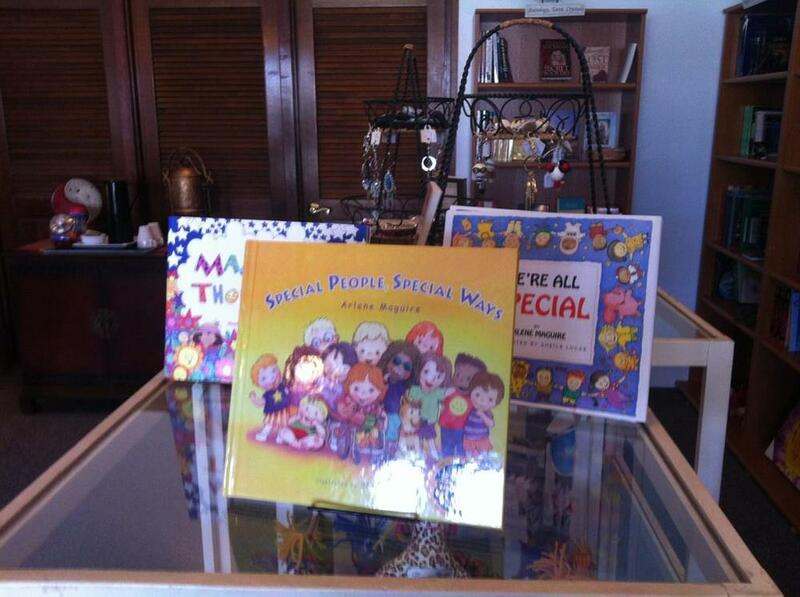 When we visited yesterday, guess whose local author’s books were proudly displayed in her shop? That’s right, Arlene Maguire! We are so pleased and grateful to see our books in so many places, and especially, in a place owned by such a warm-hearted, friendly owner. We encourage you to stop by and visit — you’re sure to find something you like. Stacy is always there working (Mon. – Sat.) — tell her we said HELLO. Unicorn Books and Gifts is also conveniently located en route to Julian — so it’s a great tourist destination, as well!